Kupa MANIPro Passport - Stylish Portability for ALL Nail Technicians! Nail Technicians - are you looking to upgrade your equipment? Check out Kupa's new MANIPro Passport - an exclusive, portable electric nail file, perfect for Nail Techs who need power AND portability! The MANIPro Passport® features a light weight battery powered Acetone Resistant Finish control box. This unit can provide anywhere from 8 to 10 hours of use per charge in either 110v or 220v. 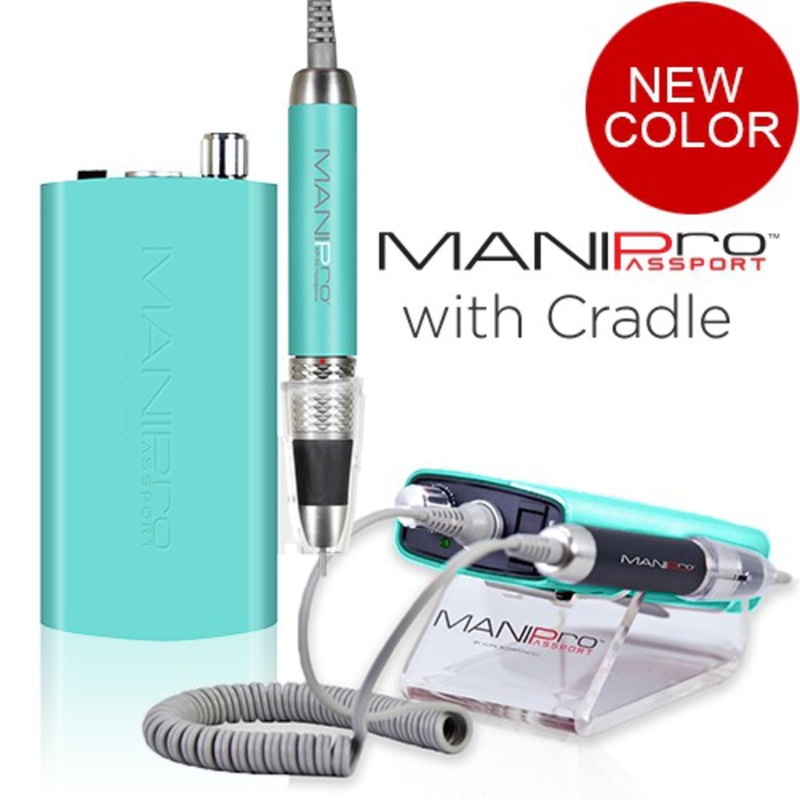 The MANIPro Passport® comes complete with a stainless steel belt clip and a plastic handpiece holster which can snap on either side of the control box. Full one year parts and labor warranty with your Kupa E-file!